HTTP security headers that have the right configurations can be used as defense methods against cyberattacks, such as drive-by-downloads, clickjacking, and more. But, SearchSecurity.com is here to help. 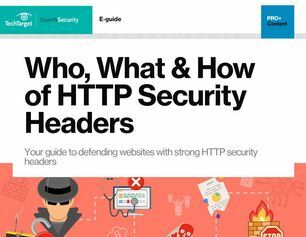 In our exclusive expert guide, Who, What & How of HTTP Security Headers, Judith Myerson outlines how to defend your websites using strong HTTP security headers. To claim your free PDF download, participate in our market research program.